← Until there’s a cure . . .There is only Care! This is when we must make a special effort to manage our own stress, be more sensitive to our loved one’s feelings and behavior, and make a special effort to keep them safe, comfortable, included, and purposeful. With all of this comes a disruption of routine, change of environment, change in eating habits, and change in sleeping or rest patterns. Those of us who are not dealing with brain change can adjust to interruptions of our routine, at least for a short time period. For our loved ones it is not so easy and you may experience behaviors that can spoil the holiday experience. At these times, try to remember that they are not trying to give you a hard time; they are having a hard time. They are trying to communicate their fears and feelings in the only way they know how. Holiday celebrations can be long and may not take place at the best time of day for an individual living with dementia. Events that run late in the day can create “sundowning” behaviors, and you may have to excuse yourselves and shorten your stay. Requiring your loved one to abandon their routine and normal eating or sleeping schedule will always result in unwelcome problems. We’re not suggesting you should just give up on the holidays and remain alone. Sociability is good for your loved one living with dementia, so this can be a good time for them if planned and managed with moderation. Lowering your expectations will not lead to disappointment. You need to explain your situation to your friends and relatives so they will not have unrealistic expectation. While attending a holiday event, keep a close eye on your loved one’s reactions and anxiety level, and if it becomes necessary, politely excuse yourself and leave. Some may not understand, but many will. There is always the possibility you can leave your loved one in the care of a competent friend or professional caregiver while you attend a family function. You will have to weigh how this affects both of you. If it leaves you feeling anxious and neglectful the whole time you are away, then this may not be the best option. You may have to consider declining to attend the larger gatherings. This, however, does not mean you cannot create your own ways to enjoy holiday traditions. You can organize a simple brunch earlier in the day where you can invite close relatives or friends you know will understand; maybe friends you have met in your caregiver support group. Coordinate a pot luck luncheon so the whole burden is not on you. We all want the holidays to be a happy time, and this is no less true for a person with living with dementia. But it will require some adjustment in how you observe the traditions of the season. Focus on the quiet and low-stimulation activities that your loved one seems to enjoy, play quiet and calm holiday music, and avoid disruptive and stressful activities. Try to find things that can engage your loved one. They need to feel included but not overwhelmed. 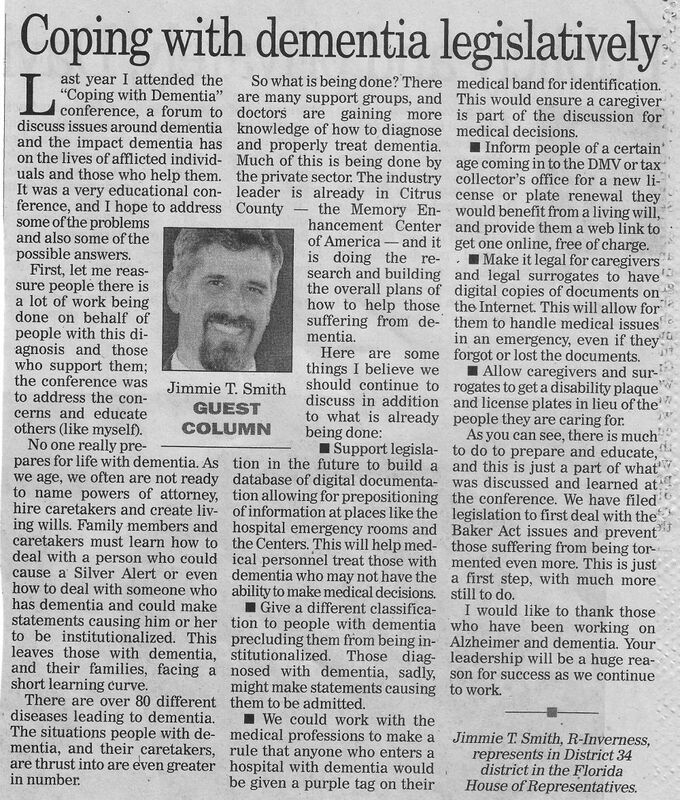 To guide your decisions, ask yourself the question: “Is this something I am doing for myself, or is it in the best interest of the person I am caring for?” If it is something you want to do for yourself, for your friends, and for your relatives, be aware that it may not turn out well if you expect to also involve your loved one with dementia. Keep in mind that your situation will not continue forever, and seek ways to be kind to yourself and kind to your person with dementia. Find ways to help them — rather than others–while you enjoy the holidays. We do this because we all deserve the best. So as the year-end holidays arrive, let’s approach them in a way that will bring you some new good memories, which includes creating a good experience for the person you are caring for.